Today, Jon from The Rideshare Guy will be taking a look at a new Android app for Rideshare drivers called Mystro. Before we get started, Mystro is one of our affiliate partners, so we do make a small commission when we refer folks through our links. With that said, this app is genuinely helpful. My fellow staff members and I at The Rideshare Guy are pretty excited about where they’re going with it. Take a look at our video all about Mystro, then read the video transcript below. Mystro’s CEO has over a thousand Uber rides under his belt, and I feel pretty confident that the start-up behind this app does have our best interests at heart here. As you probably know, drivers often work multiple platforms at the same time in order to maximize the number of ride requests they receive and ultimately to make more money. Mystro helps you do that by automatically juggling the Uber and Lyft apps for you, so you can focus on other things like driving. Here’s how it works. As of now early May 2017, Mystro is still in beta. That means you’ll have to use an invite code in order to use the app. Our code is RSGB3171. Go to this signup link to try mystro.This will take you to the Mystro app in the Google Play Store. Hit INSTALL. While it’s downloading, double check to make sure that you’re signed in to both Uber and Lyft. You don’t need to be online, just have the apps open and logged into your account. When it’s done downloading, open it up and tap Register. Enter your name, email, phone number, and create a password, and you’ll also need to re-enter that invite code RSGB3171. Before you can log into the app, you’ll need to verify your email address. Go to your email and tap the verification link from Mystro. Now we’re ready to go back to the app and log in. When you’re doing this for the first time, you’ll need to enable Mystro as an accessibility service. This option screen pops up the first time you log in. This is what allows the app to interact with the Uber and Lyft apps on your behalf. On my phone, this was all I had to do, but there may be additional steps depending on what version of Android you’re using. The complete instructions as well as an installation tutorial video can be found on the Mystro website linked below in the Description. Once you’ve got it all set up, what does the app actually do? It’s got two main functions. The first feature helps you juggle both your Uber and Lyft apps. Once you’ve got Mystro set up, you can open it up and hit the toggle in the top right. It will launch both your Uber and Lyft apps automatically and put you online in both of them. When you accept a ride request on one app, Mystro will go into the other app for you and set you to offline, so you won’t be getting Lyft pings while you’re doing an Uber ride and vice versa. When you’re done with the ride, Mystro will take you back online in both apps to maximize your chances of getting a ping. In Mystro’s Settings menu, you can also set one app as your primary app. This is a little bit confusing, so let me explain it. When the slider is set to ON all the way on the left, Mystro will turn on both apps immediately after a ride ends, so you’re never waiting for rides with just one app on. If you set a delay, Mystro will only take you online on your primary app, then it will wait the specified amount of time before turning the other one on. This is super helpful if you prefer Lyft rides, for example, because you can set Mystro to wait for Lyft rides first for 5 or 10 minutes before turning the Uber app on as well. Mystro’s second feature is designed to help you easily filter out ride requests that you don’t want. You can filter out rides based on the passengers rating, how far away they are, and whether the request is in UberPOOL or a Lyft Line. For now, these are the only criteria. You won’t be able to filter out UberX requests in favor of UberSELECT requests, for example, but for many drivers this is still pretty helpful. You’ll still see every ride requests that you get, and you can still accept the rides that don’t meet your criteria, if you change your mind. All Mystro does is overlay and ignore message over ride requests that don’t fit your settings, but you can still change your mind and accept rides that don’t meet those criteria. Ignoring requests will still impact your acceptance rating, so keep that in mind if you’re working towards any guarantees or bonuses. The app is still in beta, so you may occasionally run into some bugs, where the app isn’t behaving like it should. The easiest way to troubleshoot is to log off both Uber and Lyft, close the Mystro app, and then reopen Uber and Lyft and then reopen Mystro. You can find other FAQs and other troubleshooting tips on the Mystro support page linked below in the Description. For now, Mystro is only compatible with Uber and Lyft, and it’s only out on Android. But as we mentioned, the app is still very new, so we’re hoping that as Mystro continues to expand, the app will continue to add new features and compatibility options. It would be great to see other apps like Postmates and DoorDash added into the mix, and we’ll definitely be keeping an eye out for those additions, but the app in its current form is still pretty awesome. If you’re tired of switching back and forth between apps, head on over to the Mystro website and follow the installation instructions. Let us know what you think in the Comments. Thanks for watching and drive safe. 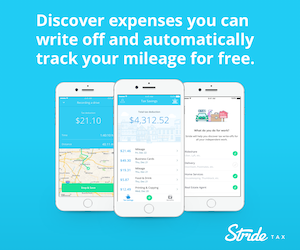 Can You Cancel Your Auto Insurance Policy And Switch To Rideshare Insurance?